# What is the significance of your name, Metro Area? How did you get that name? > I originally was going to do a label called Metro Area as a house sub-label for Environ. Darshan and I started working together and we decided to use the name. # You come completly from a techno-detroit/deep school background, is that right? > Yes, definitely. The first records I put out were definitely grounded in Detroit and more experimental melodic techno like Dan Curtin, Black Dog Productions, Stasis, A.R.T. and others. # U use analog instruments + strings, guitar, flute, and percussion … Who and what are your influences? > Disco, boogie, techno, soul, hip-hop, new wave, you name it. Big personal dance music influences are Patrick Adams, early Detroit techno, early 80s Emergency records, Salsoul, West End, Supertronics, Larry Heard, lots of NYC club/loft/Garage tracks, old Chicago and NY house, etc. # How would you describe your sound? I like the atmosfear in your sound… What images and emotions do you want your music to invoke in the listener? > It’s up to the listener. I do hope some imagery comes into play – I love human emotions and a live feel but the music that gets me the most has no real “face” attached to it and leaves imagery up to the listener’s consciousness. # What do you look for in a beat? > Simplicity, funk and atmosphere. I like stuff on the ones, and I’m into 8th notes – sort of the opposite of what I was into when I got into dance music, which was 909 swingy 16th notes and tight 808 patterns. # Quality and innovation… future projects? > “Quality” is subjective but I think every release on Environ will be the culmination of a lot of work and struggle, but also love for the music and evolution. Innovation – it would be nice, but almost impossible to do outside recombining different forms of music. Upcoming projects are a solo EP from me, Metro Area album, a new project called Jersey Devil Social Club and other releases. > I haven’t done a solo live set in ages. The Metro Area live set is really a mix of tempos, very much like our records. It’s more of a PA than a live set – unfortunately most people can’t afford to pay for our musicians to come with us. # The last: I love the little voice (oh oh ohoh!) in Miura … is very boogie? who sing it? or you sample it? > It’s not sampled even though it sounds it! It’s multitrack takes of Dei Lewison, a vocalist who happens to be the daughter of Woody Cunningham, who was in Kleer and did lots of session work on Salsoul. > No problem. Mi dispiace che non parlo italiano! 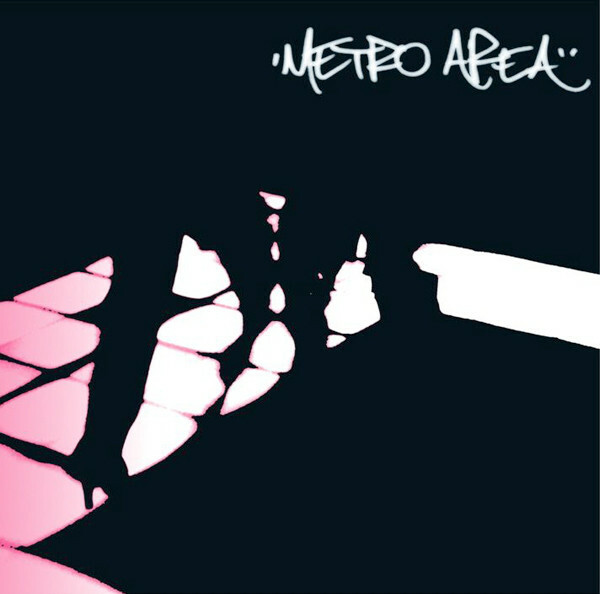 SPOTIFY: Metro Area: Album X-Ray Join Metro Area on a journey through the music that influenced their eponymous debut album. Each Metro Area title in the tracklist is immediately followed by a sampling of songs that inspired its creation!